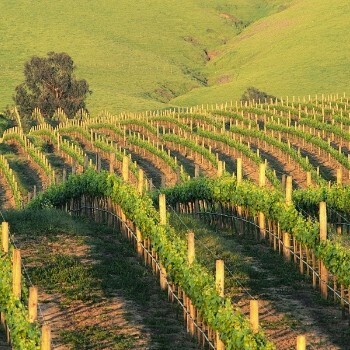 California is hailing 2013 another first-rate vintage, following last year’s harvest, which was extremely highly rated right across the state. Although generalisations about vintage quality are dangerous for a wine region which stretches over 700 miles from north to south, a series of well-respected winemakers all told the drinks business that they were very pleased with the quality of grapes from this year’s harvest, which was one of the earliest on record. In a discussion with db in California last week, Genevieve Janssens, director of winemaking for Napa’s Robert Mondavi Winery described 2013 as “very, very nice”. She also said that it was a “very compact vintage” due to “very quick” flowering, and added that she expected to finish the harvest within the next two weeks. Similarly, at Ridge Vineyards in the Santa Cruz Mountains, Paul Draper said, as he showed db a sample of the 2013 Geyserville blend, “We think this is a great vintage”. Looking back, he described 2012 as “clearly an excellent vintage,” adding, “and I don’t want to sound like the Bordelais, but 2013 is another excellent vintage”. Like Janssens, he observed smaller berries with more colour and tannin than average and, as a result he said, “This will mean we will pull back on the pump overs – otherwise we will have a mass of tannin to deal with”. In Sonoma, Hanzell Vineyards president Jean Arnold Sessions stressed the unusually rapid and early nature of 2013. Finally, Gina Gallo, chief winemaker at Gallo Family Vineyards told db that 2013 was “an interesting year”, adding that California had enjoyed an “amazing growing season”. While she added that the reds harvested so far had initially seemed “muted”, they had since “popped with flavour”.